Below you can view all the homes for sale in the Salem Lake subdivision located in Conyers Georgia. Listings in Salem Lake are updated daily from data we receive from the Atlanta multiple listing service. To learn more about any of these homes or to receive custom notifications when a new property is listed for sale in Salem Lake, give us a call at 404-998-4195. Some Remodeling Is Ongoing; But, Come See This One! MLS#6529894. American Realty Professionals Of Georgia, Llc..
Home Comes With A 30-Day Buyback Guarantee. Terms And Conditions Apply. MLS#6525716. Opendoor Brokerage, Llc. Lots Of Storage Space On Main Level And In The Basement As Well. 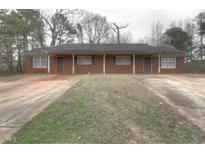 MLS#6521337. Virtual Properties Realty.Com. Must Set Appointment To See. Call Or Email Agent. 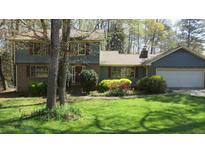 MLS#8536403. Keller Williams Rlty Atl. Part. Conveniently Located To Shopping And Walk To Nearby Schools. MLS#6502681. Keller Williams Realty Atlanta Partners.